THE STRONGEST collection of racing talent from around the world yet seen at the Liqui-Moly Bathurst 12 Hour is firming ahead of the February 3-5 event. With a majority of major combinations locked in by competing teams, the 50-plus grid is shaping as the most competitive in the race’s history. Click here to view the current entry list and announced driver roster. Latest additions to the grid include Virgin Australia Supercars ace David Reynolds, who joins Kiwi Domenic Storey and Mark Griffith in a Mercedes AMG GT3. Reynolds has several 12-hour starts to his credit and finished fifth outright last year in a car run by Erebus Motorsport. 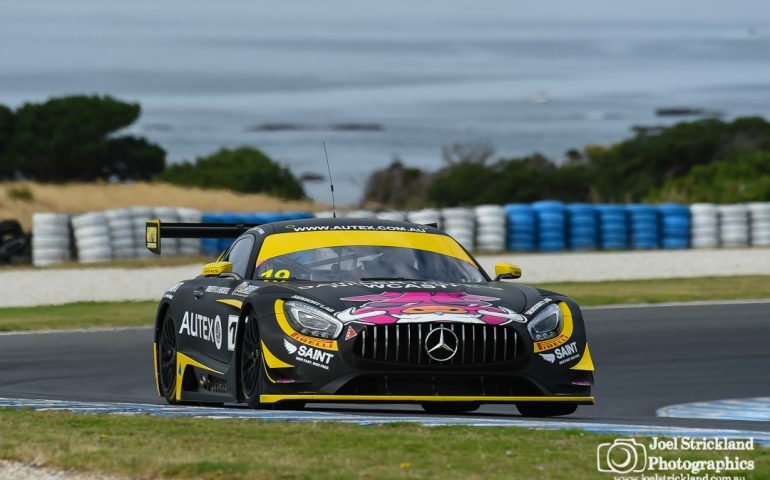 Storey spent last year racing the AMG GT3 in the Australian GT Championship, as did Griffith. Reynolds is also the current Supercars lap record holder at Mount Panorama. Meanwhile, a quartet of New Zealand friends have joined forces to ‘live the dream’ by competing at Mount Panorama this February. Glenn Smith, John de Vries, Nick Chester and Kevin Bell will race a Kiwi Racing-entered Lamborghini Gallardo R-EX next month, and all four bring plenty of experience to the table. Bell, in particular, brings starts in the Bathurst 24 hour, Bathurst 1000 and Porsche Carrera Cup to the squad while Smith, De Vries and Chester race regularly in New Zealand’s top endurance and GT-style series. Smith is the reigning champion in New Zealand’s GT1 championship, racing an ex-GrandAm Series Daytona Prototype. Through several outfits are yet to confirm their final squads, the entry list looks like a ‘who’s who’ of Australian and International motorsport. Already 8 former Liqui-Moly Bathurst 12 Hour winners feature on the list, headlined by defending champion Shane van Gisbergen, 2015 winners Katsumasa Chiyo and Florian Strauss and 2014 winner Craig Lowndes. 10 former Supercheap Auto Bathurst 1000 winners, accounting for 30 victories in total, feature on the list alongside 7 ATCC / Supercars champions including the current champion van Gisbergen. The international roster is similarly well-credentialed with the current World Endurance Champion, two drivers that won the 2016 LeMans 24 Hour, the current FIA GT World Cup winner, Multiple DTM titles and more than 300 Formula 1 race starts worth of experience amongst the entry list. Factory drivers from Audi, Aston Martin, Ferrari, Nissan, Bentley, Mercedes AMG, BMW and Porsche are already confirmed – with McLaren yet to publically name their roster ahead of their Bathurst title defence. Privateer Nissan GT-R NISMO GT3 entrant Hobson Motorsport is another yet to formally announce their two-car driving squad. Tickets, Camping and VIP Parking remain on sale via the official event website or via Ticketek.